Am I the only one who thinks that the narrative we've been hearing about @theJagmeetSingh might be completely wrong? 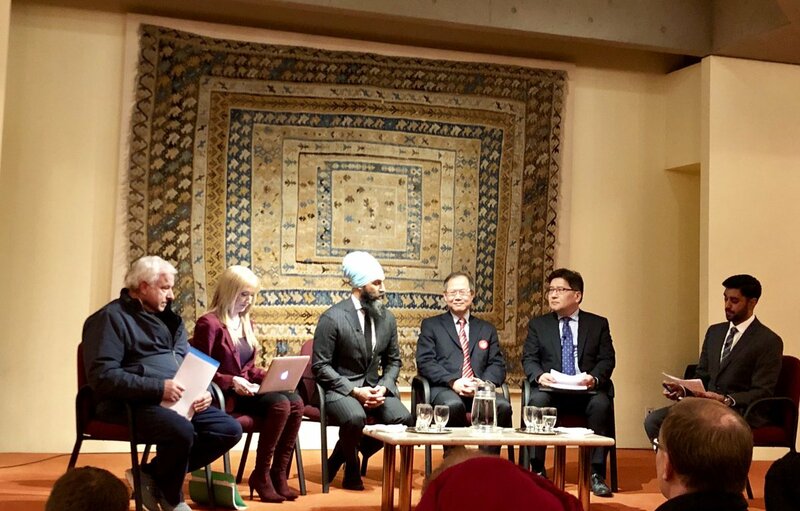 As I watch @theJagmeetSingh in #BurnabySouth, and watch the #SNCLavalin scandal in Ottawa, I can't help but wish he'd been in Parliament during this last month. Of all the Canadian politicians I've seen speak, I think @theJagmeetSingh would be the best able to tear into the @liberal_party over the #SNCLavalinGATE. The senior @NDP MPs have done a remarkable job holding this government to account. But I don't know that there's a politician in this country who I'd prefer to have questioning @JustinTrudeau than @theJagmeetSingh. But free rides don't last forever. And I think @JustinTrudeau and the @liberal_party are about to see how formidable @theJagmeetSingh truly is.
.@LauraLynnTT’s supporters are out in big numbers. It’s going to be wild. 1) target 500K new homes. 3) double new homebuyers tax credit. Good to have a target. Better to have a plan. A target is not a plan. As @KelvinGawley notes below, the LPC govt had promised this, but then decided other options worked better. I'd want to ask why @theJagmeetSingh thinks the govt was wrong about this. They may be wrong! But that's my Q. 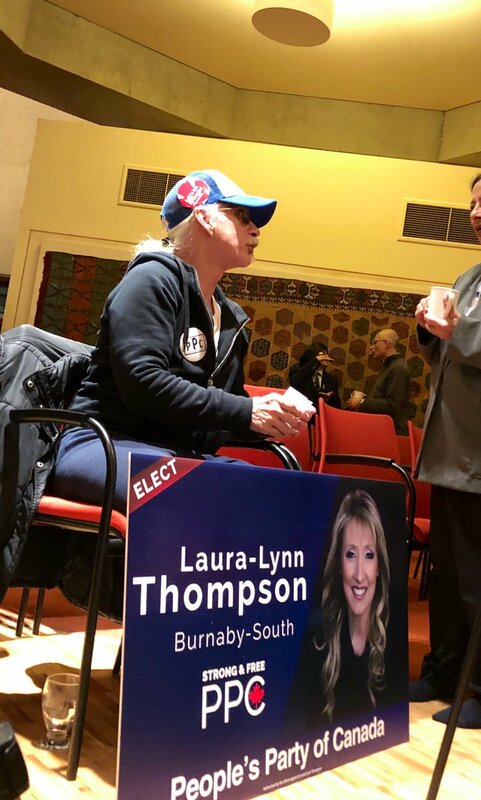 Worth mentioning that once upon a time the #BurnabySouth by-election was going to be about a pipeline that suddenly had way more public support than it did before. Why is Singh even running outside of Ontario anyway? Does the NDP still think Burnaby is their *only* shot? I mean there’s nothing wrong per se with a leader getting parachuted into a BC riding from a million miles away... but why? If Singh needs to be in the house *now*, why not run in a sooner by-election? Why is the NDP fixed on parachuting him in from thousands of kilometers away? Parachuting a candidate is all about convenience. Parties do it because it’s an opportunity for something they can’t get any other way. So why is *waiting* for the Liberals to call a byelection thousands of kilometers away from where Singh is from in Ontario a smart move? The anger towards the PTI twitter fanbase obviously comes from the fact that most of them are insensitive assholes. But I beginning to think it also comes from the dislike towards milennials and their ability to manipulate this platform better than the oldschoolers. One would think having your feelings returned would make your raging crush easier to deal with, but no. No, for Jimin, being courted only makes everything worse, what with him being rendered even more of a mess when Yoongi brings him gifts. I've spent a long time wondering exactly why Tarantino makes revenge fantasies about demographics he's not part of. Reading Uma's story and his culpability in her pain makes me angrier that he appropriates in such staggering ways. "It has taken me 47 years to stop calling people who are mean to you ‘in love’ with you."